Nymph Lake, Rock Mountains NP is a small but picturesque lake with great mountain views. 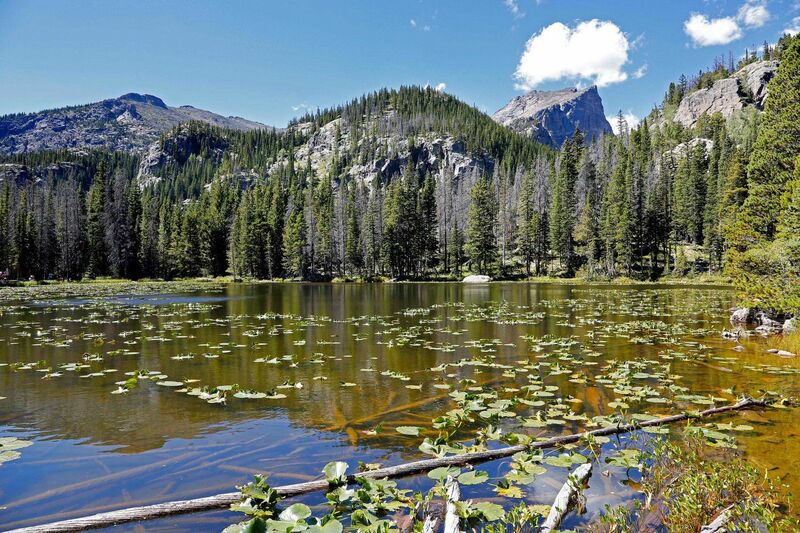 It is known for the ornamental pond lilies that decorate its surface and is the first lake visited on what is one of the most popular hikes in the park. In Summer, you will certainly not find solitude here and when you see some of the scenery you will understand why. The walk goes on to take in Dream Lake and finally Emerald Lake.